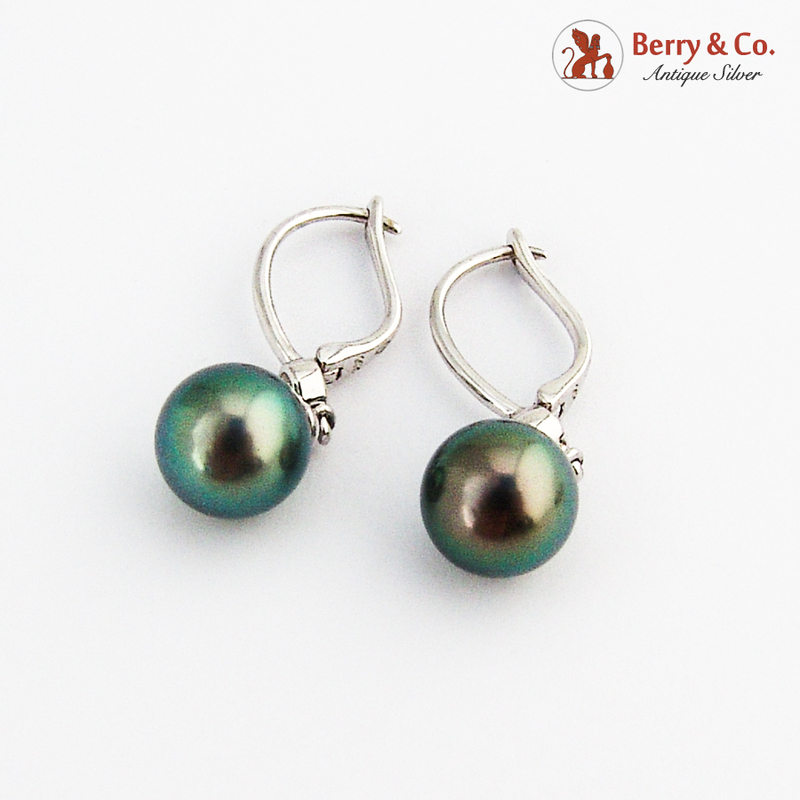 Dangle Tahitian Pearl Earrings 14K (.585) White Gold, White Gem Accents. 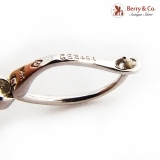 These luxury earrings are 1 1/8" long and weigh 4.8 grams. The Pearls are 8mm in diameter.